The Hand and Wrist CryoCuff combines the therapeutic benefits of controlled compression to minimize hemarthrosis and swelling, and cold to minimize pain. The versatile design of the cuff allows it to be repositioned for desired hand coverage. NON-MOTORIZED. For added support, support bars are incorporated in the cuff and can be removed if a wider range of motion is desired. All CryoCuffs can be ordered as a single cuff, or with a cooler (including a tube assembly and insulation disk). The Cooler is available separately and can be used with any model in the CryoCuff line. When the AutoChill system is used with the Hand and Wrist CryoCuff it should only be used in a medical facility or clinical environment with direct healthcare provider supervision. 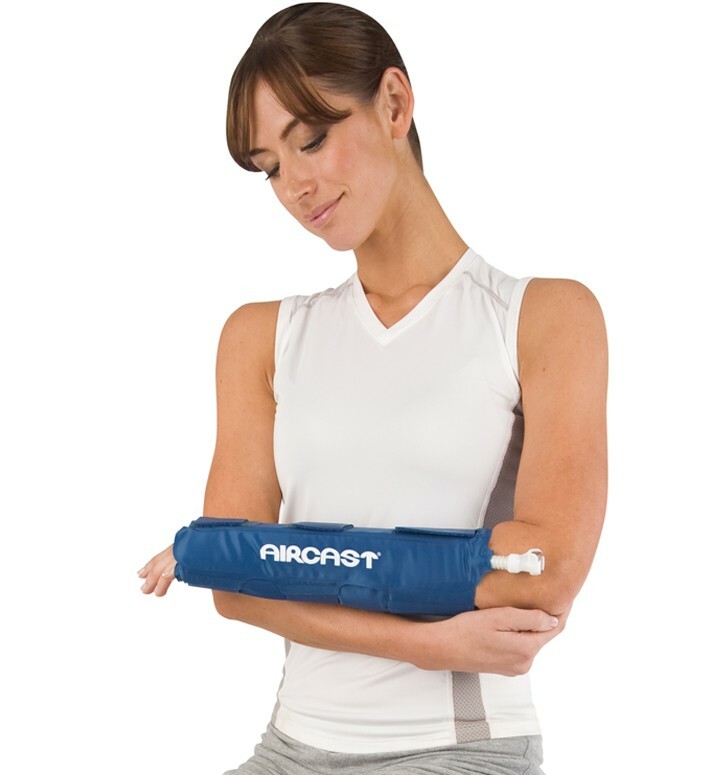 Shop our complete selection of Aircast products. Yes, you can purchase just the Cuff for the wrist. See the link below. What is the price for the air cast cryo cuff hand/wrist cuff only, without the cooler? I have the cooler already. Wish I'd had this sooner after my wrist surgery. As it was I used it well for a few weeks and it helped keep the swelling down. Had one of these for my shoulder years ago and I think that was okay, somewhat helpful. It's an expensive purchase so I think you need to weigh the cost versus benefit. I found that once I put ice in in the morning, the water stayed cold through the full day.